Japan levies a tax on consumption spending on goods and services, which is called shōhizei (consumption tax, 消費税). The current tax rate is 8% (as of August 2018). 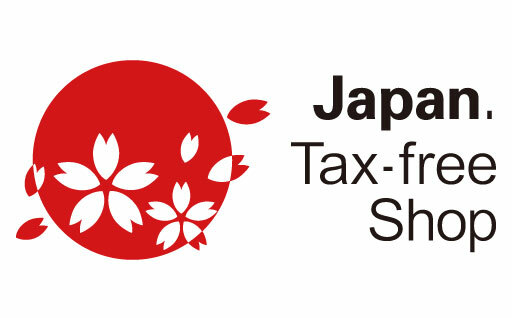 If you are traveling in Japan as a tourist ("temporary visitor" status) and are staying in Japan for less than 6 months, you can enjoy tax-free shopping at stores that display the "Japan Tax-free Shop" logo and receive a refund of the consumption tax. There are over 44,000 stores nationwide (as of April 2018) that provide tax-free shopping service to foreign customers. This service covers home electronics, clothes and kimono, handbags and footwear, groceries, beverages (including alcohol), medicines, supplements, cosmetics and more! There are two ways to take advantage of tax-free shopping. Some stores will exempt you from paying the tax at the time of purchase, while others (such as department stores) have Tax Refund Service Counters where you must go after you finish shopping. You must have your passport with you (photocopies are not accepted). Please be aware that goods that can be purchased tax-free fall into two categories (consumable goods and general goods) with some differences in applicable rules and conditions. Foods, beverages, medications, supplements, cosmetics, etc. The goods must be purchased at the same shop on the same day, and the total amount spent must be between ¥5,000 and ¥500,000 (excluding tax). The goods will be sealed into a special package and cannot be used in Japan. They must leave Japan within 30 days of the purchase date. Home electronics, clothes, kimono, footwear, accessories, etc. The goods must be purchased at the same store on the same day, and the total amount spent must be more than ¥5,000 (excluding tax) with no upper limit. The seller will make a copy of your passport if your total purchase amount exceeds ¥1,000,000. The goods can be used in Japan but must leave the country within 6 month of the date of your arrival in Japan. Some stores allow customers to combine the purchase amounts for consumable goods and general goods and receive a tax refund for the total. In this case, rules for consumable goods will apply. You cannot receive the tax refund if you intend to use the goods for resale or business purposes. Locate tax-free shops by looking for the logo below. Travelers with a "temporary visitor" status are eligible for tax-free shopping. ■ Foreigners who stay in Japan over 6 months are not eligible. ■ You are not eligible if you are working in Japan, even if you are staying in Japan for less than 6 months. HOW DO I RECEIVE THE TAX REFUND? Many stores will exempt you from paying the consumption tax at the time of purchase. Simply ask at the counter for menzei (免税), show them your passport, and enjoy tax-free prices! Other places, such as department stores, require you to pay the full price for the goods at the time of purchase and then visit a separate Tax Refund Service Counter to receive the refund. Bring your sales receipt(s) and all purchased items to the counter, and you will get the refund there. Please note that some stores may charge a separate fee for this service. The staff will put your purchased items in a special sealed bag, listing the bag's contents on a sticker (for consumable items). They will then give you a Proof of Tax-Free Purchase document, which you must attach to your passport. When you arrive at the airport to leave Japan, you must visit the customs counter and show them your passport with the attached Proof of Tax-Free Purchase document. After that, you are good to go! Remember: Do not open the sealed bag during your stay in Japan. Otherwise, you will have to pay the full tax (8%) on the item at the airport. A customs duty is a government fee charged on imports and exports, whereas the consumption tax is a levy on goods bought and sold in Japan. Sometimes English information found in Japan confuses the terms, so it is worth understanding the difference. Duty-free shops are generally found only in international airports. They sell certain products, such as luxury brand items, perfumes, alcohol, and tobacco, which are exempt from customs duties on the proviso that they are leaving the country. Some of these products are exclusive to duty-free stores and cannot be bought anywhere else in Japan. This is different from the consumption tax, which is a tax on goods sold everywhere within Japan. If you see a shop marked as duty-free somewhere other than at an airport, it is most probably an incorrectly labeled tax-free shop. Look for the "Japan Tax-free Shop" logo to make sure.